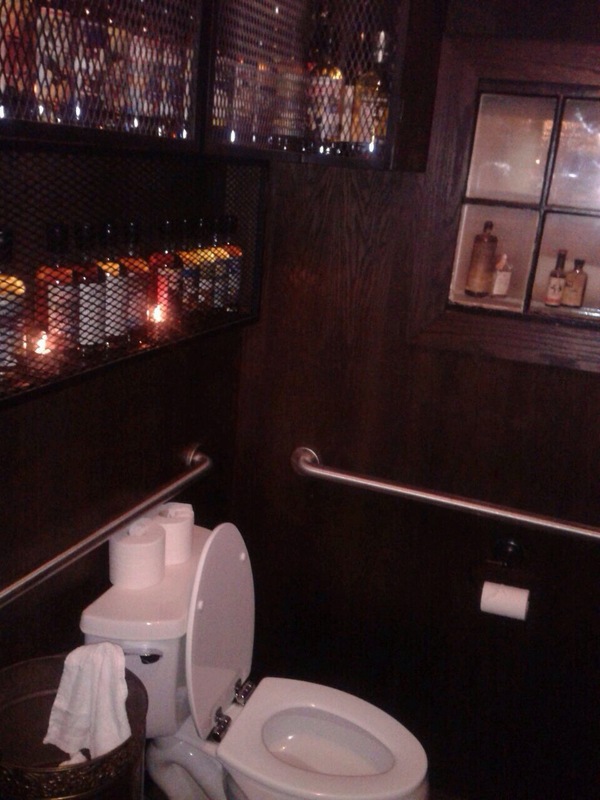 Canon: The Bathroom Bar Has Been Set | Shits and Giggles: A Seattle bathroom tour! There is no bathroom like this one in Seattle, and would be amongst the best National bathrooms lids down! Canon has set the standard. Canon is already amongst the classiest of bars in the Jet City with a elite bar staff and the classiest drinks. But now the bathrooms at Canon are slick, brilliant and entertaining. 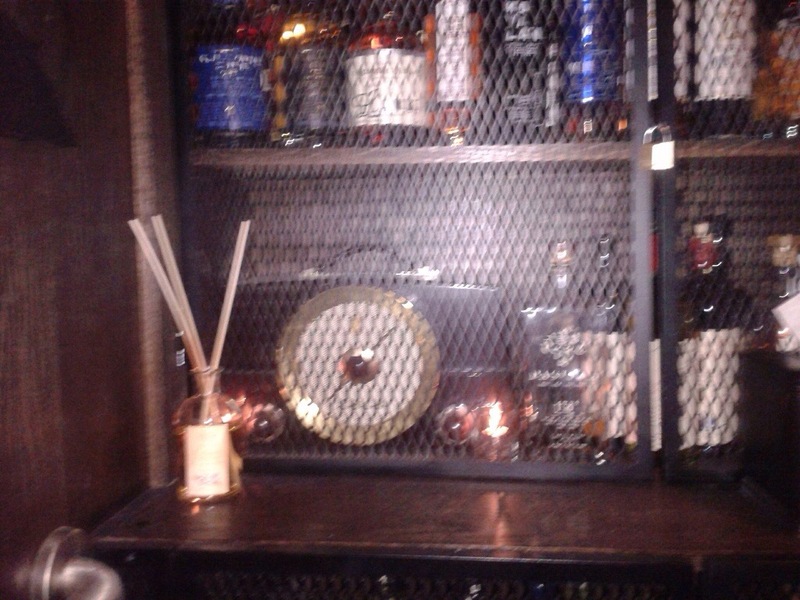 Decorated with fancy liquor bottles in great cages. Upon entering the bathroom, your presence triggers an old fashioned decorated speaker playing classic radio talkies. Old Ghost stories or the Postman Only Rings Twice crackling just like it would in the 20’s. You might just be enticed to staying in the can a little longer! This entry was posted in reviews, Uncategorized and tagged bathroom, best, Canon, capitol hill, fancy, review, Seattle, swanky, talkies. Bookmark the permalink. ← The Herbfarm: Is the toilet paper 100 miles sourced?